Early in the “ber” months, people start to dig through the storage, find the Christmas lights, untangle the cords, and plan for decorations. But if you need a hassle-free installation, it may be the best to call a professional holiday lighting company. Greenforce Outdoor Lighting provides Christmas Lighting Installation in San Francisco, California. So instead of toiling over Christmas decorating works, you can spend time with your family instead. 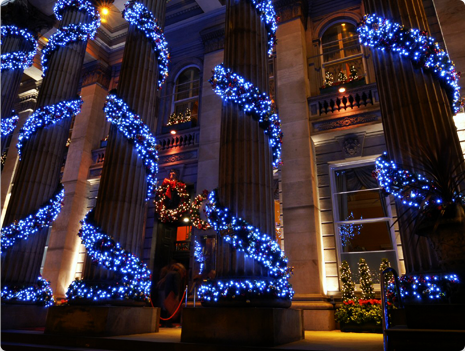 The company can help you with the whole holiday light installation, from planning to execution. You can suggest what designs you prefer and the design team can work around that. The team will consider your home and landscaping and creatively work to address the features specific to your property. You don’t have to buy your own decoration necessities, such as Christmas lights or extension cords. A professional lighting company has all the essentials and will use only professional-grade products designed to withstand the length of usage and other elements. A professional lighting company, such as Greenforce which provides Christmas Light Installation in California, uses only property-friendly methods. The installation team is adept in all areas. When the bulbs go off or the rain ruffles your decorations, the company can take care of all the tasks. You can ensure that your holiday lights stay bright throughout the season. The installation service doesn’t end with the holiday season. A professional holiday lighting company will take charge of taking down all the decorations and properly storing them, making them available for use in the next holiday season. This entry was posted in Light Installation and tagged Christmas lighting, custom design, Installation necessities, Lighting System, Maintenance, Professional installation, Storage and Cleaning. Bookmark the permalink.